The last decades have shown a remarkable increase in the number of heavy rains, typhoons and earthquakes. These natural phenomena are the main causes for geohazards. 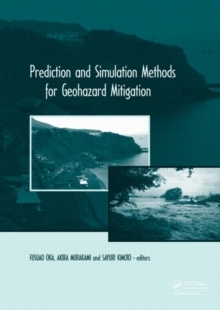 As a result the mitigation of geohazards has become a major research topic in geotechnical engineering, and in recent years simulation-based predictions and monitoring tools have been developed to enquire the mechanisms underlying geohazards. This book is a comprehensive overview of these developments, and will be of interest to engineers, researchers, students in Civil and Environmental Engineering.